ELEGANCIA "WHITE" LEATHER WITH NATURAL LEGS. Everything in your life is peachy keen. 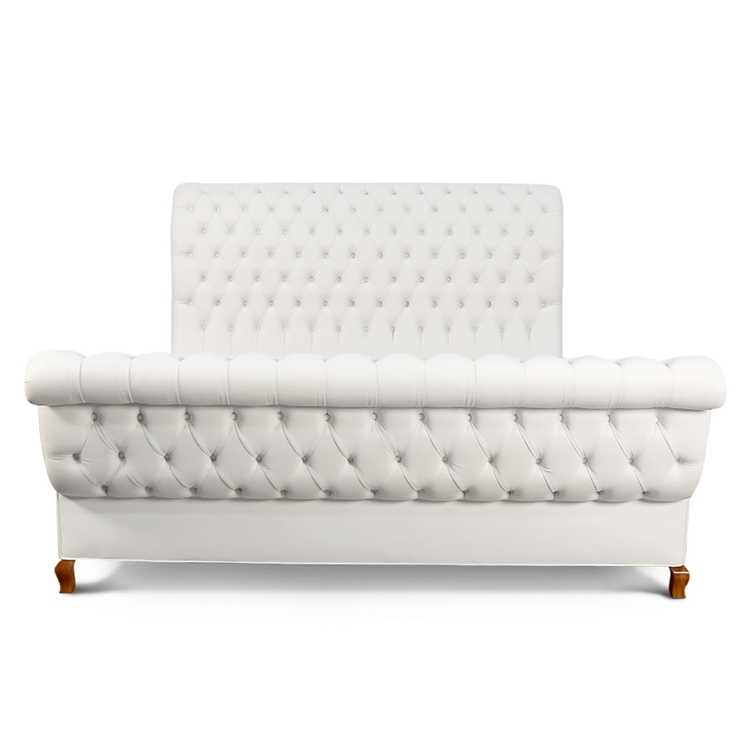 Not to mention, you have zero chance of waking up on the wrong side when you fall asleep in this tufted Duncan Fife Bed. Item sold as shown online. Item ships in 3 boxes. Boxed weight is approximately 325-365 lbs. Call 323.256.2800 or email us at info@hautehousehome.com for custom options.